Assassin’s Creed Odyssey is an action role-playing video game developed by Ubisoft Quebec and published by Ubisoft. It is the eleventh major installment, and twentieth overall, in the Assassin’s Creed series and the successor to 2017’s Assassin’s Creed Origins. Set in the year 431 BCE, the plot tells a fictional history of the Peloponnesian War. Players choose between controlling a mercenary for either the Delian League led by Athens or the Peloponnesian League, led by Sparta. Odyssey received positive reviews from critics, who praised the open world, visuals, characters and combat animations, with some calling it the best installment of the franchise. Wikipedia®. Write your own legendary Odyssey and live epic adventures in a world where every choice matters. Sentenced to death by your family, embark on an epic journey from outcast mercenary to legendary Greek hero, and uncover the truth about your past. Forge your path through a war-torn world shaped by gods and men, where mountains and sea collide. Meet Ancient Greece’s famous figures and interact with them during a pivotal point in history that shaped western civilization. Assassin’s Creed® Odyssey brings player choice to the forefront through innovations never-before-seen in Assassin’s Creed as you choose the hero you want to become and change the world around you. Through the relationships you build with colorful characters & the decisions you make along your Odyssey, it is you who is in control of your destiny. Customize your equipment and master new special abilities, tailoring your hero’s skillset to your play style. Fight your way across Greece, engaging in visceral battles both on land and at sea, to become a true Hero of legend. Trainer for the game Assassin’s Creed Odyssey, you can use it to activate these essential Cheat Codes: Infinite Health, Infinite Adrenaline Bars, Infinite Oxygen, Skills No Cooldown, Infinite Money, Infinite Experience, Infinite Skill Points, Super Speed, Stealth Mode, Infinite Ressources, One Hit Kill, Clear Bounties. 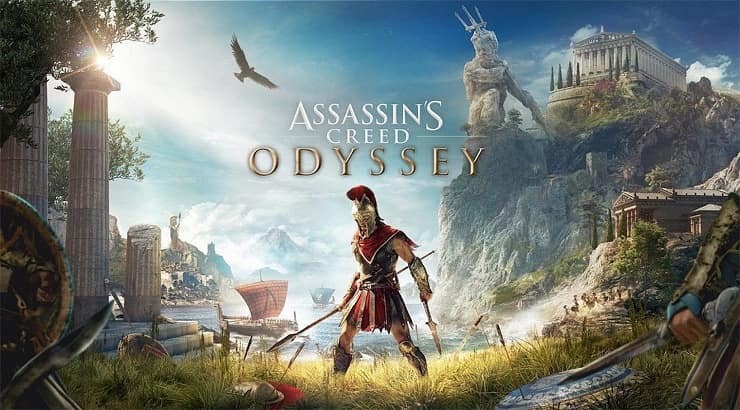 Note: This cheat tool is for the original version v1.1.4 of the game Assassin’s Creed Odyssey.